Home | Events | The Fear of Public Speaking – KSDK Interviews. . . 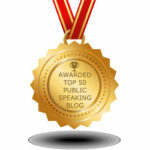 The Fear of Public Speaking – KSDK Interviews. . .
St. Louis (KSDK) – It could be a wedding toast or a class assignment in high school or college. Most of us get anxious when we’re asked to talk to an audience. It’s the number one phobia, called glossophobia. 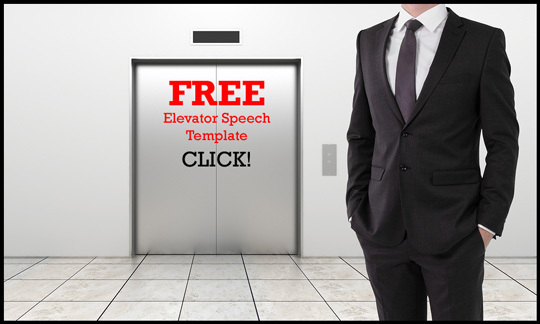 When it comes to talking the talk, many people would rather get a root canal or an IRS audit than make a speech. Click the video player above to watch the report. 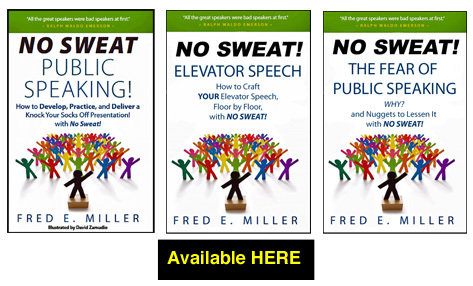 Fred Miller’s book is No Sweat Public Speaking!, and among his tips: people remember the first and last thing you tell them, so Have a strong opening and a strong close to your speech, have confident body language, remember that the audience is on your side and they want you to succeed. Kay Quinn: …or it could be a wedding toast, or a class assignment in high school or college. Most of us get anxious when we’re asked to talk to an audience, and Art Holliday here has a story about the fear of speaking in public. 75 percent of us are afraid to talk in public. You and I aren’t — aren’t among those people. Art Holliday: The number two phobia is fear of death; but the number one phobia is fear of speaking in public, okay. Kay Quinn: Wow. Can you imagine? Art Holliday: It’s called glossophobia. 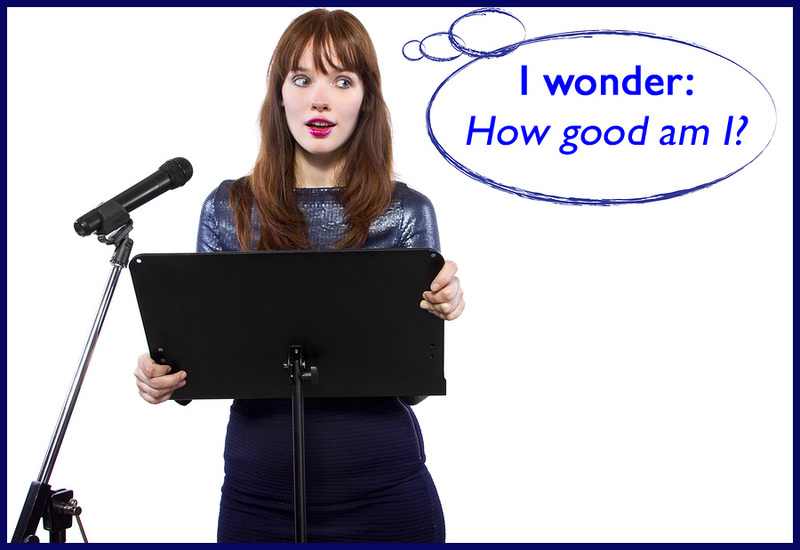 And when it comes to talking the talk, many people would rather get a root canal or an IRS audit than make a speech. It’s time to talk about talking. Fred Miller: Yikes. Me, speak in front of a group? Oh, my gosh. Art Holliday: Welcome to Cave Springs Toastmasters where an author and a teenage film maker face their fear. Male1: Very afraid. I have a big fear in public speaking. Female1: You know, I did have a little bit of a fear in public speaking. But, like, Fred said today, practice, practice, practice. Art Holliday: Fred Miller is an author who coaches people how to speak in public. 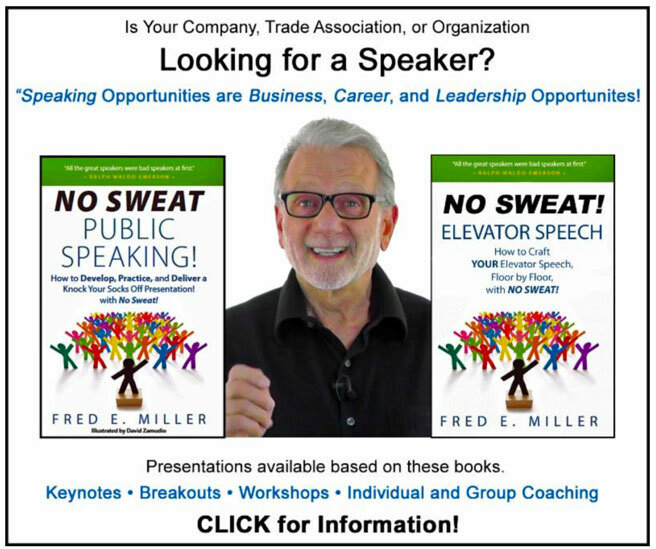 Fred Miller: If your reaction to a speaking opportunity is more Yikes than Yes, you’re not alone. Lots of people have a fear of public speaking. Art Holliday: Miller says he is used to calming nervous narrators. Fred Miller: I’ve coached lawyers, and doctors, and CEOs; coached a bride — father of the bride to be. I think he started having panic attacks the day his daughter got engaged, thinking about giving that toast to the bride. Art Holliday: Even presidential candidates can experience tongue turmoil. Governor Perry: I would do away with the education, the commerce, and let’s see. I can’t. The third one, I can’t. I’m sorry. Oops. Art Holliday: Fred Miller’s goal is oops for your confidence when you work the crowd. Fred Miller: Kind of feel like your naked all alone, vulnerable? That’s just it. You’ve got to get used to it. Male4: I’m not very good at public speaking and, plus, I’m very shy. I just realized well, this is the best opportunity to come here and learn. Male5: Thank you Mayor, and fellow Reglinians. Fred Miller: Speak, speak, speak. If you want to be a swimmer, swim. If you want to be a baker, bake. The learning is in the doing. So, if you want to be a speaker, just get up and speak. Art Holliday: Just make sure you hold onto your script. 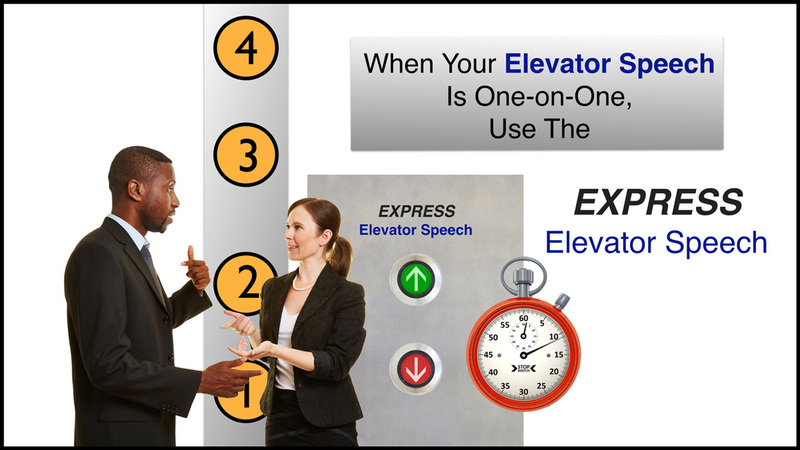 People remember the first and last thing you tell them, so have a strong opening and a strong close to your speech. Have confident body language. Remember that the audience is on your side and they want you to succeed. And Miller is a big fan of Toastmasters International, which helps improve public speaking and leadership skills. There are 77 Toastmaster organizations in Missouri and Illinois within 25 miles of downtown St. Louis. So, a lot of people are aware of their fears and they’re trying to do something about it. Kay Quinn: Yeah, you’ve go to remember we’re all just human, right. So, you’re going to make mistakes from time to time, or slip up, and I love the Don Knotts’ thing. Oh, that is so funny. That’s classic. It’s priceless. Thank you so much, Art. 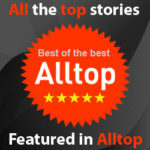 For reading, and/or listening, this far I’d like to give you a FREE Gift. 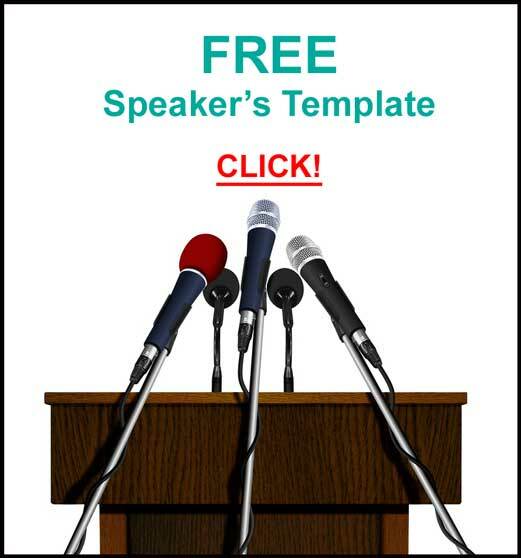 Go to: https://nosweatpublicspeaking.com/freegift to receive it! Perception is reality and we rather deal with Experts. Nice job, Fred! 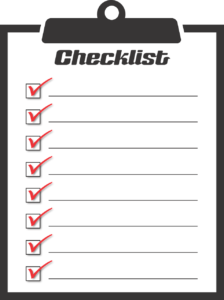 You’re a great ambassador when it comes to promoting public speaking and putting people at ease.